A haul by any other name.. is still a haul! In case you didn't know (which in fairness you may not as I was too busy having a fab time to be tweeting!) 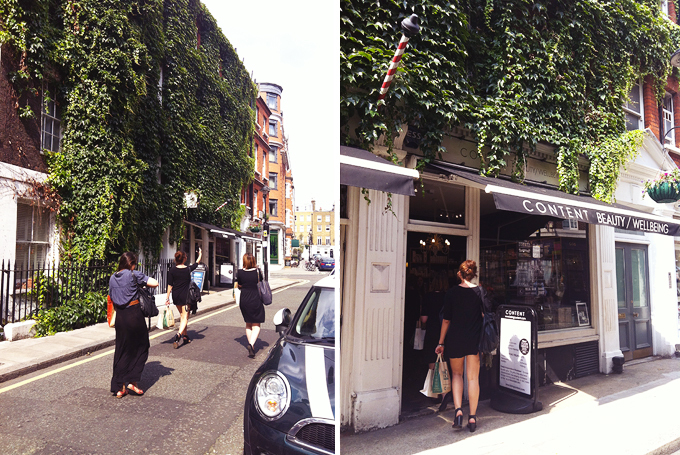 I spent my Saturday in London on a little tour of all the green beauty hotspots worth a visit! It was organised by the wonderful gals of Call It Vanity and as there were so many of us we were split into two groups to go off on our way and spend spend spend! I was in group B with Sabrina, Katie, Amber, Ana, Tamara, Evelyn & Liz. 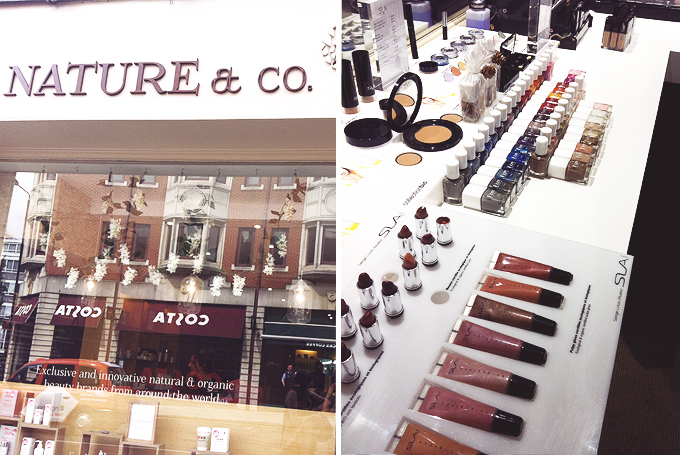 Our first stop of the day was BeautyMART in Boxpark, Shoreditch. 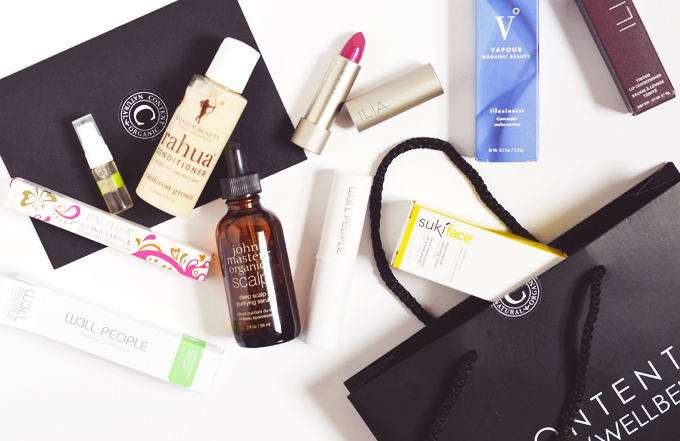 We were all excited to see brands like ILIA Beauty and Kahina in person (as we were being offered an amazing 15% discount!) but were left a little disappointed when the store didn't seem to have them in stock. They have a very edited selection with just one or two cult products from a brand, it's not exclusively green but I was glad to see brands like my fave Melvita, Weleda & Prtty Peashun (wish I'd bought their lotion!!). This was our quickest stop and we were soon on our way to the Kensington Whole Foods (the biggest in Europe!) for some more shopping and dinner too, we were quite a bit earlier than the 2nd group so we got to take our time having a browse downstairs, their beauty section is out of this world, SO many brands! I was really overwhelmed and found myself wandering aimlessly in awe, I wish I'd of pulled myself together because I'm regretting not buying so many things! I only picked the Pacifica Island Vanilla Perfume, a bar of Strawbs & Cream Ombar chocolate (we all agreed it was the grossest thing ever at lunch) & some Snapea Crisps! After a de-lish lunch from the salad bar and an all too brief catchup with group A, we were off again to visit Nature & Co. A beautiful little boutique that sells many a exclusive brand such as Alima Pure and SLA. It was a really roomy store with a relaxing, calming atmosphere that was lovely to be in after the chaos (and heat!) outside. I didn't make any purchases in here either, though I had plenty of fun swatching away and pondering if I should pick up a Kure Bazaar nail shade (too hard to choose). We also made a quick stop into Neal's Yard a few doors down before we headed to Content, so that I could take a quick look at their Calendula Cleanser which Liz convinced me was fabulous, she managed to get me a sample and I have to agree! love it. I had a huge wish list but knew exactly what I wanted to buy when push came to shove. The John Masters Organics Deep Scalp Purifying Serum, ILIA Beauty Limited Edition Lip Conditioner in Jump aaaand W3LL People's Narcissist Foundation & Concealer Stick. Everything was in stock so it only made sense for me to head to the till with my goodies.. but not before working my way around the store having a good test of everything and finding even MORE things to add to my wish list ;) Luckily for us all and our purse's Content was VERY generous and offered us all 20% discount on our purchases as well as a beautiful gift bag filled with samples of Rahua, Suki, Vapour, Tata Harper and more! I was giddy with excitement to learn my favourite concealer (you know the one, Vapour Illusionist) was in the bag... in my colour & full size WHAT. Day made, thank you so so much to the wonderful Imelda & Content team! It sounds like you had a lovely day shopping. That lipstick looks beautiful! It sounds like you all had a lovely time. I'm super jealous as I would love to visit Content but I live nowhere near London, boo! Your haul looks so dreamy! Sabrina and I both agreed that you were way too cute. Was so nice to meet you, even if it was briefly! Great haul! I love shopping online at Content and can't wait to go visit!